The Enugu State Executive Council (EXCO) yesterday awarded contracts worth over N1.1billion for infrastructural development within the state. Briefing newsmen after the council’s meeting at the Government House, Enugu, the Commissioner for Works and Infrastructure, Honorable Greg Nnaji disclosed that the projects approved for immediate construction and reconstruction were “roads and public building”. Engr. Nnaji stated that the council in a bid to enhance efficiency and productivity in the civil service, approved the construction of phase one (block A) of zonal secretariat at Nsukka satellite town at the cost of N418, 649 , 187.13. On roads, Engr. Nnaji also disclosed that the state government awarded contracts for the reconstruction of Ogidi Street and Onyeama lane, Asata in Enugu metropolis to connect with Carter street, which is under construction by the present administration. Also approved for rehabilitation within Enugu city were the old UNTH-Bunker road, Ngenevu- old UNTH link road and the erosion control works at Okwuosa Street, Ogui New Layout. Other road projects approved by the council, according to the works commissioner include, the construction of additional 2-kilometer at Nkwo Inyi-Akpugoeze Mamu Forest road in Oji River Local Government Area and additional works (River Crossing) on the construction of Nike Lake junction - Harmony Estate road – Amorji Nike - Adoration Pilgrimage centre (Phase one). Engr. Nnaji pointed out that 2-kilometer of the said road is presently under construction by the state government to serve as a veritable bypass from Nike Lake junction, Abakpa to Emene. He said the bypass will decongest traffic in the aforementioned areas..
Also speaking, the Commissioner for Gender Affairs and Social Development, Princess Nnaji, who applauded Gov. 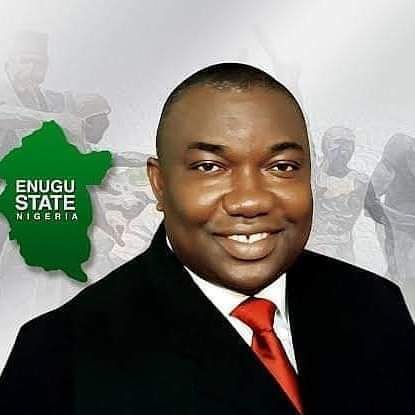 Ugwuanyi’s magnanimity towards the downtrodden and vulnerable, stated that the governor through the EXCO also approved the sum of N44, 974,593.45 for the renovation and equipping of the state government’s Rehabilitation Centre in Emene. Princess Nnaji added that the project comprises renovation of all male and female hostels, toilets, fencing of the Centre and the procurement of equipment such as computers for learning and tailoring machines. In his briefing, the Commissioner for Information, Mr. Anikwe said that the council gave 48 teachers who did not turn up during the verification exercise “one more chance to show up between now and end of the month to get verified with a condition that the person will among others offer reasons why he or she did not participate earlier”.